In the wake of WWII, a grieving fisherman submits a poem to a local newspaper asking readers to send rocks in honor of loved ones to create something life-giving but the building halts when tragedy strikes. Decades later, Annie returns to the coastal Maine town where stone ruins spark her curiosity and her search for answers faces a battle against time. Whose Waves These Are is absolutely the most impressive debut novel I have ever read. Hands down the absolute best! This dual time line novel is heart-stirring and so beautifully written that it has stayed in my mind since I finished reading it. The author begins her story in Ansel-By-The Sea, Maine in 1944 and transitions to Chicago 2001 and to be honest I almost didn't want to leave Maine but I soon discovered I would be returning with Annie Bliss to visit GrandBob. Oh how I loved all of the characters in this coastal town. Every single one of them held a special place in my heart. Ms. Dykes certainly crafted characters that I became emotionally attached to. I am quite sure that I have never shed so many tears while reading a book but some of my tears were happy ones because I clearly felt a connection to the characters. This superbly written novel of love and healing is perfectly paced and will have a permanent place in my home. 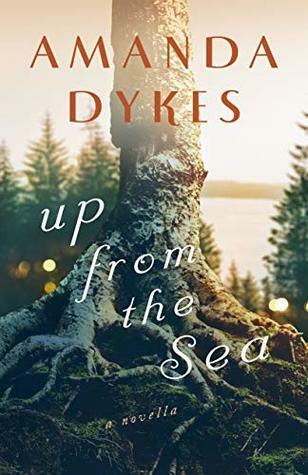 I highly recommend picking up a copy of this book and if you haven't had a chance to read the novella, Up From the Sea (Whose Waves These Are 0.5) you should definitely read that, too. After reading the novella and novel I can honestly say I am a huge fan and cannot wait to read Amanda Dykes future work. I received a complimentary copy of this book from the publisher and was under no obligation to write a review. All opinions are my own. I am a huge fan of the four authors in this collection and have read most everything they have written so I knew I would enjoy each of the four stories. I normally don't have a favorite in these collections but in this one my absolute favorite was penned by Beth Wiseman. I absolutely adored Elizabeth and Gideon Beiler In a Reunion of Hearts. One of the other things I liked was reconnecting with characters crafted by Amy Clipston in, Their True Home and Kathleen Fuller in, A Chance to Remember. Admittedly I haven't always liked Rudy Swarey but Ms. Clipston managed to do what I thought would be impossible by making him likeable so kudos to her for making that happen! I've always loved Cevilla Schlabach and I loved her storyline so much. Kelly Long always captures my heart with her writing making her one of my favorite authors. All of the stories are poignant with characters who you will love making this collection one I highly recommend. 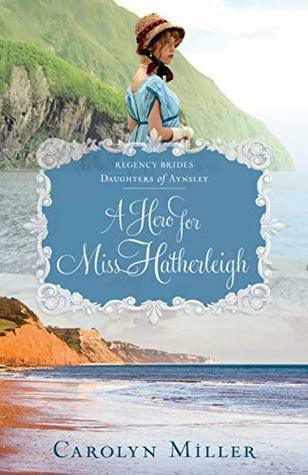 I know that when I read a book penned by Ms. Ladd that I will be in for quality Regency reading but I think she may have exceeded my expectations in this first book in her new Cornwall series. In this beautifully crafted story I felt like I was there with the characters during the difficult times and the good times. It's one of those novels where I was captivated from the very beginning which was refreshing and made me want to turn the pages as fast as could. Yet, I was conflicted because I wanted to stretch this one out for as long as I could so that I could enjoy the beautiful description of the Cornwall coast that I could easily see in my mind and to hear the conversations that took place there. 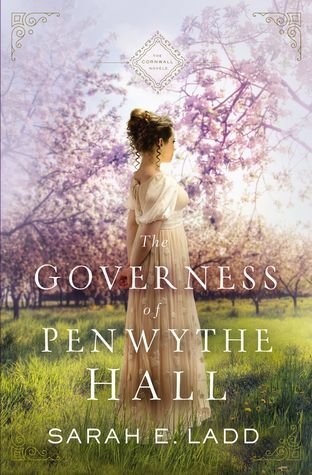 This amazing storyline has a touch of suspense with a bit of romance and well crafted characters which in my view makes The Governess of Penwythe Hall a must read. I will be anxiously waiting for the next book in the series. This is the first book that I have read by Ms. Palmer so I had no idea what to expect. I can tell you that what I got is a novel with instantly likable and wonderful characters! I absolutely loved Apryl and can honestly say that I won't forget her anytime soon. With her acerbic wit she had me laughing out loud throughout the book but she has soft side which showed how uncertain she could be. I loved that she and her twin sister Courtney work together to help their grandmother save the antique store by putting her needs before their own. The idea of a wedding decorating service was genius and added entertainment to the storyline. Especially when Chance McFarland is tasked with helping Apryl. These two are super cute as they work together setting up the different venues for the weddings. Apryl is a hard worker, she's creative and she loves potato chips. I mean how can a guy not love a girl like that? It was pretty easy to love and respect Chance, too which I did! Courtney and their grandmother along with several secondary characters round out this delightful, well crafted story. I found the storyline moved at just the right pace and I loved the way author added both warmth and wit to her writing. As I said before, this is the first book that I've read by Ms. Palmer but it will not be the last. 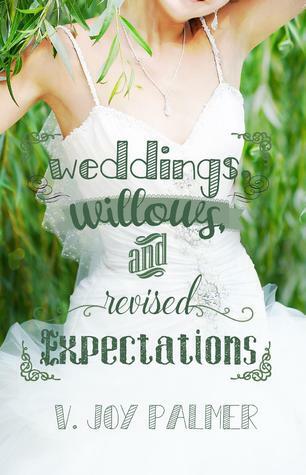 Weddings, Willows and revised Expectations is suitable for both younger and older adults. I received a complimentary copy from the author but was under no obligation to write a review. All opinions are my own. When Savannah Mae Thorpe visits her family in New England, she learns the future of the land she's inherited is in question. She finds help from a local lumberjack--who holds a shadowed past of his own--to discover the truth of a local legend and save her land. But her expedition may have unexpected ramifications on her life--and the lives of those around her. 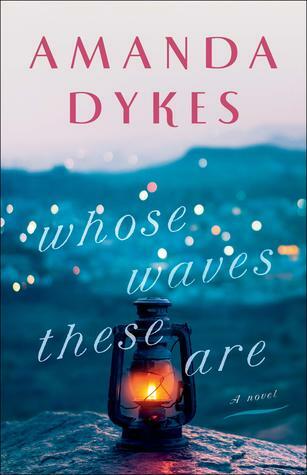 Up from the Sea is the prequel to Whose Waves These Are, the debut novel by Amanda Dykes. As far as novellas go this is easily one of the best that I have had the pleasure of reading. The writing is top-notch with beautifully crafted characters. The story takes place in the1920's where Savannah Mae Thorpe is living in Maine with her uncle and aunt after losing her parents. Savannah Mae was my favorite character that is until we get to know Alastair Bliss. I'm not normally a fan of lumberjacks but I was willing to make an exception for him. This short story has everything a reader could ask for, a little bit of mystery, family dynamics, and a sweet romance. Up from the Sea was a free book that I downloaded and I would encourage anyone looking for a good read to do the same. As the daughter of Viscount Aynsley, Caroline Hatherleigh knows every rule of society--and she's always followed them precisely. But when she visits south Devonshire and encounters a fossil-hunting scientist and his sister, her assumptions about what is right are shaken. Questions she has never considered about the importance of friendship and faith suddenly confront her--and her comfortable understanding about how the world works is thrown off balance. What if God wants to be the center of her life, rather than merely a social obligation? Gideon Kirby loves science, and hunting down proof of past lives is a joy he won't willingly give up. But his scientific leanings are being challenged both by his personal beliefs and by local smugglers in the Devonshire countryside. And every day his sister's illness becomes more desperate, her care growing more demanding. Adding a viscount's daughter to the mix is a complication Gideon never expected--especially since he must stay far away from this young woman he's falling for in order to protect his beloved sister's secret. When a mysterious stranger visits the village, that secret will be exposed, no matter how Gideon fights. Then tragedy strikes in a smugglers' cave. And the threat of scandal may lead to broken hearts and passionless propriety. Will the shaky bond these two have nurtured be strong enough to overcome their differences--or will the trust they've withheld from each other tear three lives apart? A wonderful first novel in a new series by Carolyn Miller. I am a huge fan of this authors work and in this story she exceeded my expectations by adding a wonderful character who loves science. It's the first time I've read a Regency with such a surprise and I absolutely loved it. I didn't realize that fossil hunting was popular in this time period so I was fascinated by that revelation and when we meet Gideon Kirby I found myself drawn to him and couldn't wait to find to more about him. The love he has for his sister, Emma sealed the deal for me and I could imagine him caring for her and protecting her making me love him even more than I had imagined. Normally I'm drawn to the protagonist more so than any other characters in the books I read but in this case as much as I liked Caroline Hatherleigh she wasn't necessarily my favorite. I found Emma to be a more compelling character which made her my favorite throughout the story and maybe it's because she has not had an easy life. I enjoyed the friendship between Caroline and Emma simply because it seemed genuine without the jealousy usually associated with female friendships in some novels. 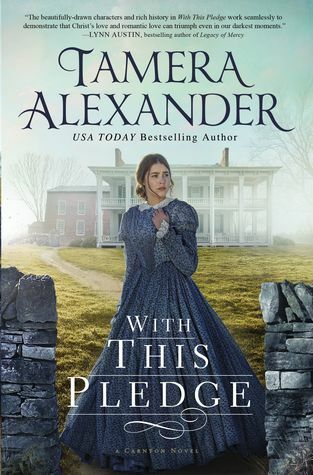 As I read this book I kept thinking how artfully written it is and if you are as big a fan of Tamera Alexander fan as I am, you will know exactly what I mean because that is standard for her. Admittedly I am an avid reader of Civil War fiction so I read this genre whenever I can.